but you are in advance with an offset of 400 revisions. 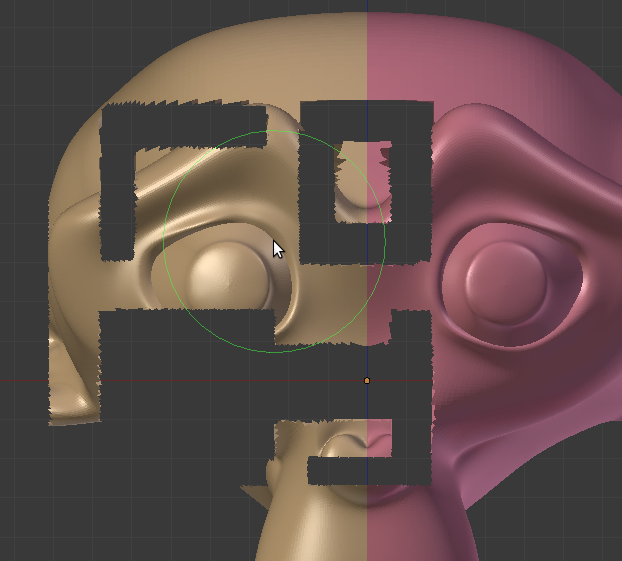 If I use the mirror function during sculpting and hide a part of the mesh, the mirror don´t work for hided parts.This can be helpful but if I use hiding only for performance issues it would be better the mirror work for hided parts. Example: Hide the half of a mesh switch on x mirror, sculpt with better performance > unhide. An interesting idea, but unfortunately doesn’t fit too well with how symmetry is currently implemented.